I am Dr. Wendy Tackett, founder of the evaluation consulting firm, iEval, in Michigan and author of the new book called Having FUN With Evaluation! I strongly believe in making evaluation useful, and one of the best ways I’ve found to do that is to embed an atmosphere of fun into the work I am doing. And this is Wender Woman. She likes to point out important ideas for improving client use of evaluation findings, particularly when they incorporate elements of fun. So, the short answer to the question above is YES! YES, we should be having fun with evaluation!! How can we incorporate fun while still adhering to quality guidelines for evaluation? Make sure all key stakeholders have a common understanding of what evaluation is. This can be done in a fun, interactive way which also helps build camaraderie between the evaluation team, the program leaders, and other key stakeholders. 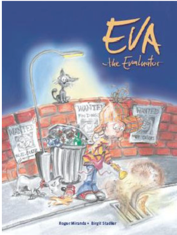 You can use videos such as Eva the Evaluator based on the book by Roger Miranda, the cookie activity as described by Hallie Preskill and Darlene Russ-Eft in Building Evaluation Capacity, or the snowflake activity found in my book. Take time to get to know your evaluation stakeholders and clients, not just their professional roles and needs but also some personal details. Do they like to snowshoe? Are they counting down the days until the Cubs win the next World Series? Finding common ground with the stakeholders can help you make the discussion more meaningful as you integrate relevant references to their particular interests. It also makes you more approachable – the evaluation stakeholders get to see the personal side of that scary evaluator! Finding those commonalities makes it easier to talk about more difficult issues such as evaluation findings that may drastically change their future implementation of programming. Then, on the professional side, make sure you take the time to understand what people want to learn from the evaluation and how it could help them do their job better. Clarify the evaluation process and who is responsible for being part of the evaluation. When people understand more about the evaluation process, they feel more ownership in the implementation and success of it – helping make the evaluation run more smoothly. As people learn about evaluation, they become evaluation champions, encouraging others to learn about it, which makes your job as an evaluator much easier. The ultimate payoff is that people who understand the evaluation process and have become champions of the work are more likely to use the evaluation findings in a meaningful way. Increased likelihood of finding meaning and use in the evaluation process! I am also a masters student at Queen’s University. Throughout the course, I have found the theory of evaluation to be hard to follow at times. I am looking forward to reading your book as it seems like it would be a great way to approach evaluation! I really appreciated you sharing your lessons learned. I found the 3 key ideas to be a very simple and great way to implement any kind of evaluation. In the classroom, it is important to understand your students and make it “fun” for them. I really liked the inclusion of understanding what the evaluation is for as well as clarifying the roles each participant has. It is imperative to remember that all parties are still human! So far in my experience with evaluation outside of this course, it has not been fun and definitely unclear as to the purpose and role each member played. I think if your three fundamentals had been applied to those situations I feel as though it would have been a much more positive experience. Thank you for your wonderful insights and I look into reading your book. It will help me get a better grasp on the best way to implement evaluations in the future. I am also a master’s student at Queen’s University. I have found the theory of evaluation to be a more difficult topic for me to wrap my head around. I enjoyed your article on making it fun and your lessons learned so far. I really appreciated your take on making evaluation fun. From my experience so far I have found evaluations to be the farthest thing from “fun.” I definitely would enjoy it more and get more information or places to improve if I found it to be fun. It reminds me that students will participate more when they are enjoying the task and understand what they need to do. I will definitiely be looking into your book and the examples you have provided for making evaluation fun! I also like the inclusion of getting to know the evaluator and the people participating in the evaluation. Understanding they are still humans is very important! It is also a great reminder to provide and discuss every participant’s role in the evaluation. With specific tasks laid out, I can see how it would make everyone more comfortable with conversing about the evaluation. Having a personal connection would allow all parties to be more optimistic about any changes that need to be made. Thank you for your wonderful insight into evaluation! I am a Master’s of Education student at Queens University currently taking a course on program inquiry and evaluation. Recently, my colleagues and I have been engaging in professional dialogues on issues/dilemmas in program inquiry and evaluation and I believe your article sheds much light on some of these issues. For example, as one dilemma is how to make evaluation effective and useful, your article presented simple yet necessary strategies/tips to guide evaluators in the right direction. I love how you said one of the best ways to make evaluation useful is to “embed an atmosphere of fun into the work I am doing”. I think creating this type of environment is the key to completing effective evaluations. As an educator, it is crucial to create a supportive learning environment where all students can learn and grow. I believe this to be the same for evaluators, the environment needs to be conducive to the goals of the clients/stakeholders in order for improvements to be made to the program at hand. I also found it refreshing that you stress the importance of having fun with evaluation. Again this relates to me as a teacher because it is of the utmost importance to engage my students and motivate them to take an active part in their own learning. In doing so, students can understand the material at a deeper level and make connections to the world around them. In addition, the “lessons learned” you mention helped me to better understand the importance of establishing and maintaining relationships of the evaluation stakeholders and clients. I also liked how you mention the importance of involving individuals in the evaluation process. I agree with you that if stakeholders are involved in the process, it makes the evaluation process run smoothly and ultimately encourages people to use the information to implement the recommendations. I will definitely check out your new book! I was pleased to come across this post. I am a student taking a program evaluation course right now and we have been using the AEA 365 forum to connect with and learn about the evaluation community. I am a strong believer in finding the fun in all kinds of circumstances and really liked reading about the approach that your firm takes. To date most of our readings have focused on the core basics of evaluation but in a couple more recent readings there have been several references to the importance of the abilities, skills and characteristics of evaluators. The explanation of your fun approach makes me believe that this would be an incredibly useful skill and ability. As they say, you catch more bees with honey. Shulha and Cousins (1997) highlighted in particular the essential people skills, relationship building skills and educating/training/guiding abilities that evaluators are required to possess to support successful process use. The description of your fun method would not only be essential for process use but for the entire evaluation I think. Shulha and Cousins further noted that there were some risks that can arise from collaborative work that forms close partnerships with stakeholders. Mohan (2014) specifically mentioned the concern of appearing biased which could put the credibility of an evaluation at risk. Mohan went on to provide some specific strategies to mitigate those risks but that it was a risk worth willing to take. Shulha and Cousins suggested at that time that there were some experts who believed a collaborative approach should “be limited to formative, improve-oriented contexts” (p.200) but included that there were other experts that disagreed. I think this FUN method is a wonderful approach but am curious about how it would work in real evaluations. Do you use this fun approach for all of your evaluations? Or do you limit your approach depending on the type of evaluation and context? Has your firm developed their own set of strategies for mitigating any risks that might arise from this fun approach? Thanks for bringing out the fun in evaluation.